In his new book, a renowned French intellectual and human rights advocate talks about America’s abdication of its responsibility to lead the world. 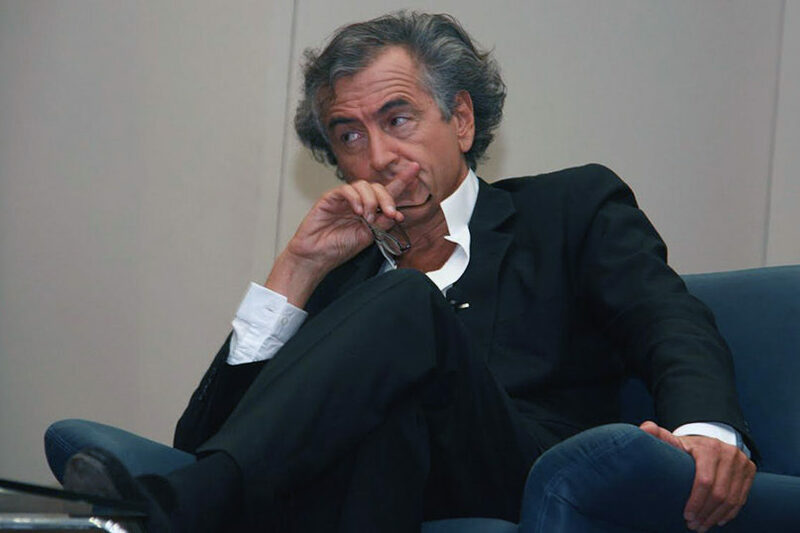 (JNS) From fighting for human rights to advocating for the Kurds and their desire for a homeland, Bernard-Henri Lévy, 70, has sounded the alarm on contemporary issues and issued warnings about the decline on the left to uphold liberal values. Recently, JNS talked with Lévy by phone. The interview has been edited for brevity and clarity. A: This book is a wake-up [call]. We are at the turning points of the history of America, of the West and of civilization. If we don’t wake up very, very quickly, we are going to be hitting to the wall – the wall of destruction of our liberal and our democratic values. It is a book of emergency. Q: You said recently, “There is no correlation between education and wisdom. You can teach remembrance of the Holocaust all you want, but that’s not going to protect us against the return of the Beast.” Does that imply that George Santayana was wrong when he said, “Those who cannot remember the past are condemned to repeat it”? A: Of course, it is important to teach, but it is not enough. Those populists, those neo-fascists, those antisemites who raise their head again, they are beyond knowledge and truth. They cannot be taught. They will not change their minds. They say that the truth has been made up; that the truth has been doctored. They live in a parallel world full of conspiracy theories. And the more we say the truth, the more they say that it is fake. We live in a strange world where the very idea of the truth is threatened and under attack. That’s why I say that it is not enough to say the truth. Q: What’s your reaction to the antisemitic and anti-Israel verbiage coming from Democrats such as Reps. Ilhan Omar and Rashida Tlaib? A: It has to be combated. The comments are shameful, and they are stupid. Because from a liberal point of view, Israel – far from being despised or attacked – should be praised. When I defend Israel, I’m much more liberal than they are because Israel is a real liberal ethnic country. Israel is a real democracy. Israel is a positive place in the whole region where the Arabs have freedom of speech and so on. Q: Here in the U.S., some Senate Democrats voted against legislation allowing state and local government to fight BDS, citing concerns that such measures infringe upon free speech. A: I respect free speech more than anyone. I admire America for the First Amendment of the Constitution. But here again, there is a state of emergency. BDS is an antisemitic movement. What do we do? Do we accept antisemitism to spread? Maybe there is another way. America has two duties: One is to ensure free speech; two is to continue to be the safe haven, a sanctuary, for all the Jews in the world. I cannot forget that my family, when they were prosecuted in Europe by antisemitism, some of them took refuge in America. At the very least, we should shame BDS. All of these BDS arguments should be – if they are not prevented, if they are not censored because of the First Amendment – shown for their true colors, which is antisemitic. And BDS activists can and should be sued. Regardless of the First Amendment, you can sue someone; you can put them on trial, for incriminatory words made against others. Q: In France, does free speech include anti-Israel, pro-BDS sentiment? A: To me, the limit to free speech should be racism and antisemitism. This is the position in France. There is free speech, except for racism and antisemitism. I’m saying that if it is impossible in America to censor racism and antisemitism, at least, I beg my American sisters and brothers to put shame on that. Q: What’s your reaction to President Trump apparently walking back his planned withdrawal of troops from Syria? Can other countries, including France, help the U.S. there, in addition to protecting our Kurdish allies? Our attitude towards the Kurds is absolute betrayal. The Kurds are our allies. They spilled their blood for us Westerners, Americans, Europeans. When the job is finished, we say to the Kurds: “Now go to hell.” It is a treachery. And it means the total abandonment of the Kurds. Q: On the left, there are continued calls for a Palestinian state. You’ve been a staunch advocate for the Kurds and a Kurdish state. Why do we not see progressives advocate for a Kurdish state? The so-called progressives are joining hands with the worst reactionaries. They don’t have any problem with [Syrian President] Bashar Assad killing his own people. If we threaten to sanction Saudi Arabia, they will say that it is involvement in the affairs of another state. If we sanction Iran, they will say it is American intervention. If we say there is corruption in the Palestinian Authority, they will say it is an insult to the Palestinian identity. But if we say that there is a people supporting gender equality, that is friendly with Jews and Christians and religious minorities, that practices democracy – that they are against. Q: What will it take for the Kurds to have a state? Q: In the aftermath of the Tree of Life synagogue massacre in Pittsburgh, why do we still see divisiveness among Jews? If an incident like that can’t bring Jews together, then what can? A: We have to be united in fighting antisemitism. We have to be united in defending the principle and security of Israel. We have to be united in defending Jewish life everywhere. Jewish life survived for millenaries and for centuries of persecution. It would be heartbreaking if it was extinguished now due to the division of Jews. On other topics, dissent is OK – we have some Jews who are on the right, some who are on the left – this is democracy. Jews are not a regiment, are not walking at the same pace. Dissidence is natural. But dissidence has to stop when the fight against antisemitism is concerned.